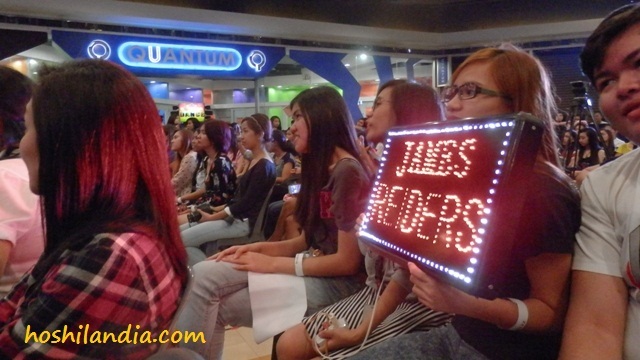 I like attending events and supporting institutions (through blogging or donating something like- Habitat for Humanity and NCCA), yesterday’s James Reid’s concert for a cause ( Radio Veritas Foundation Inc) was an addition This concert was cool, entertaining, warmed my heart and successful especially with the presence of James Reid, CEO Jerry Lozano, Bro. 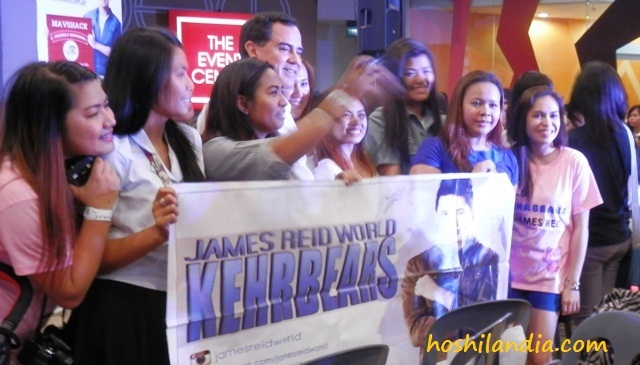 Clifford Sorirta, Mga Anak ni Inang Daigdig Dancers and yes, fans of James . 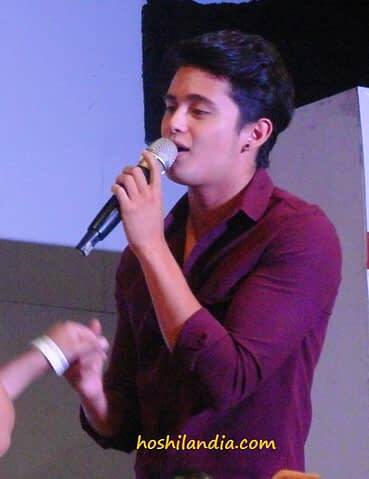 Since watching Ang Diary ng Panget, I know how popular James is to young girls, but meeting his solid and avid fans sa totoong buhay wow! I like watching them – yung kilig, yung slight na nahihiya, yung saulo yung dance steps, yung napaiyak na makita at mayakap si James. Parang na-realize ko tuloy “na teka naging teenager ba ako” at “wala ba akong naging crush na crush na artista?” Na-amaze ako sa pagiging lively at kaya nilang gawin just to support someone they like. And after seeing James in person, no questions ask. This concert for a cause became successful mainly because his fans na may taga-California, Palawan, Laguna at iba pang malayong city or province. Yung concert con mini reunion na nga ng fans ng Talk Back and You’re Dead actor. 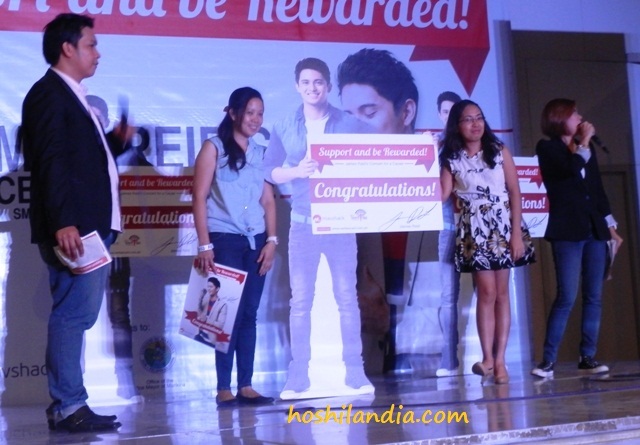 Congrats and Mabuhay sa kanila because they came for a good cause too. Okay siguro na-explain ko yung appeal ni James Reid , so go tayo sa kanyang stage presence. No doubt he knew what to do to please his audience. There were no points na naalala ko nakitaan ko siya ng hesitation to walk around, to embrace and smile. Sa singing, may boses talaga ang binata na pang pang-boy band ballad or pop. Napanood ko yung ilang interview sa kanila ni Nadine na kung isinasalarawan ng dalaga yung pagiging mahiyain or seryoso niya. 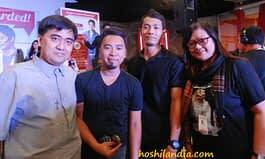 Puwes, napatunayan ko yun sa Q and A segment ng show. May katipiran sumagot ang binata ( medyo nosebleed ang lola n’yo need ko um-Ingles) but nevertheless he answered our questions directly – no flowery words or blabber. Tingin ko hindi siya yung taong magsasalita na hindi niya pinag-iisipan especially when he answered my sort of magulong question ( nag-buckle ang lola nyo live eh). 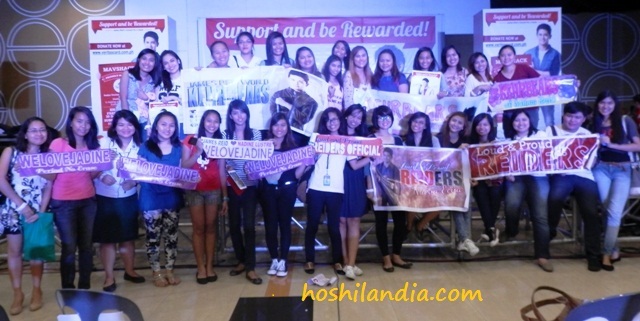 So to James Reid and his fans – nice meeting you all! By the way, I commend also yung galing sa pagsasayaw ng mga Anak ni Inang Daigdig! Galing! The concert would not also materialize without the collaborations of Mavshack top man Jerry Lozano, Marikina Government, SM City Marikina and Radio Veritas Foundation. If you read my post on Public Relations,CEO Lozano handled it so well sa concert. I also appreciate that he showed his being a proud and loving father, his willingness to help, at pagiging hands on sa event. For someone like him who owns Lozatech and Country director of Mavshack, it’s rare and it’s very pleasant to see. To simply Mavshack’s service for Filipinos, you can legally watch variety of local and international contents without commercial interruptions for less than Php 250 per month or $4.99 per month. It’s price is so affordable and they offer convenience, quality and best shows. Mavshack and Radio Veritas is planning to stage another activities similar to this event. So I’ll keep you updated about that and in the meantime let’s keep on supporting Radio Veritas Foundation Inc. Mabuhay!